House storeyed, it contain elevation of a single storeyed building and it is all set for the rendering method.. materials included.. have a good time. One-story houses offer one level of living space. They are generally well suited to large lots, where economy of land is not a priority. Single-floor houses have an undeserved reputation for being not good to their multi-story counterparts in the design culture. 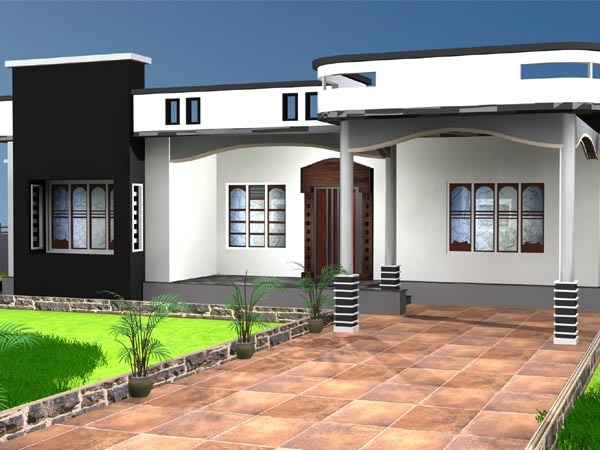 3d, apartment, architect, architecture, background, beautiful, building, business, concept, construction, cottage, design, door, estate, exterior, family, home, house, housing, model, modern, new, object, project, property, real, render, residential, roof, single, structure, villa, wall, white, window, windows. AwardAdmin, 2012-09-30 13:49:35 Dear artist-3d, your 3-D model design voted as a Model of the Month!Congratulations!